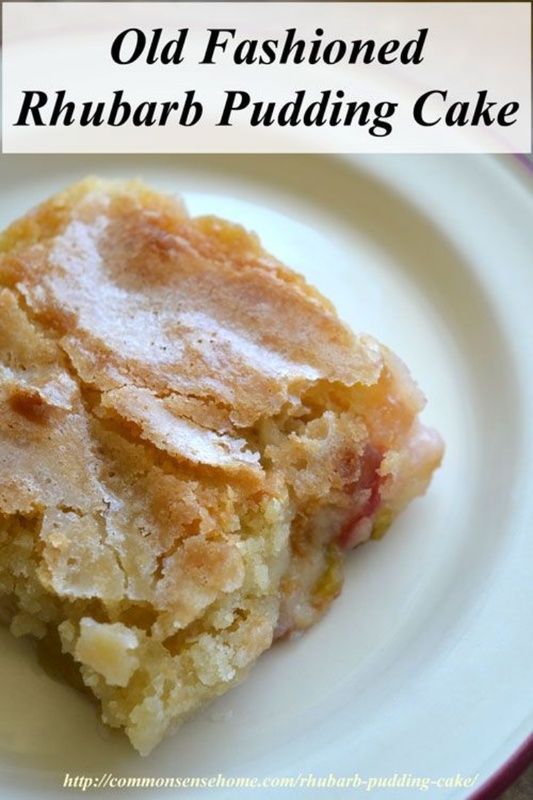 Old Fashioned Rhubarb Pudding Cake Recipe by Laurie Neverman | Common Sense Home. The boys are not huge rhubarb fans, but they loved this recipe. This is the sort of thing my grandmother would have made. I hope you and your family enjoy it, too.